A continuing and ongoing drama, LSU football has been marked by a string of improbable victories and sometimes valiant defeats. Game of My Life LSU Tigers is the chronicle of more than 35 of the greatest players as they tell the story of the game that meant it all. This book features the vivid and poignant single-game stories from three dozen of the most remembered Tigers games of the past eight decades. 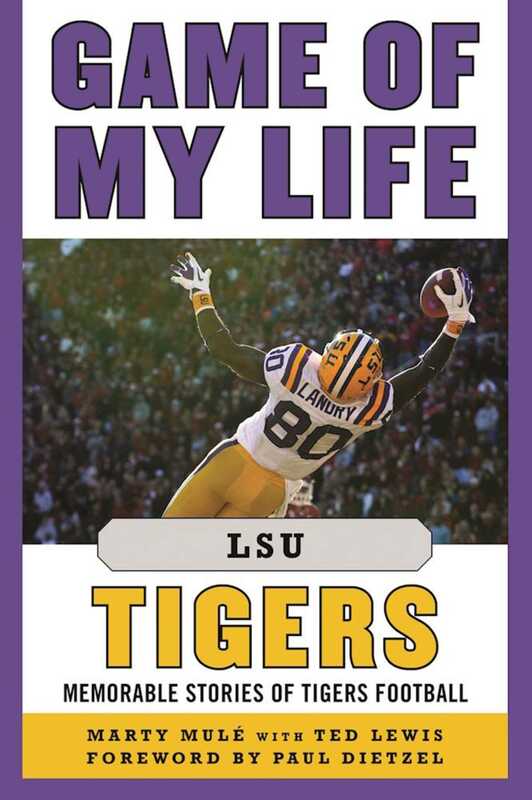 Readers will relive the fingertip catches, the bone-crunching hits, and the epic touchdowns through the eyesand from the memoriesof the LSU players themselves. The words of Tigers such as Jim Taylor, Billy Cannon, Tommy Hodson, Carlos Carson, Matt Mauck, Rohan Davey, JaMarcus Russell, Marcus Spears, Jarvis Landry, and Leonard Fournette are all part of this storied collection that has become a must-have for any true Tigers fan and Bayou football lover.